If you want to understand Trumpism, look at “rolling coal”. The other day, the Times had a story which I am just now beginning to handle, emotionally. Living in a liberal enclave, I happily rarely have to deal with this sort of nonsense in real life. 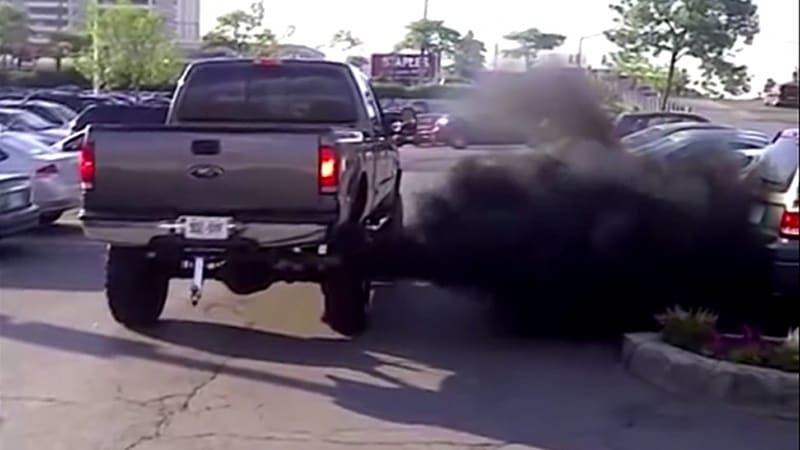 It’s about people who “roll coal”, which is basically souping up (by altering) their emissions so that they can belch diesel smoke at bicyclists, pedestrians, people driving eco-friendly cars (especially hateful dreadful Priuses), and really any other time they feel like being jerks. I don’t want to be one of those pundits who thinks anecdote is synecdoche, and don’t want to pretend this is a widespread trend (though enough people do it that there is a vast collection of YouTube videos showing bikers and Prisuses getting”fogged”) but it isn’t too hard to see the emotional basis of Trumpism here. But to diesel owners like Corey Blue of Roanoke, Ill., the very efforts to ban coal rolling represent the worst of government overreach and environmental activism. “Your bill will not stop us!” Mr. Blue wrote to Will Guzzardi, a state representative who has proposed a $5,000 fine on anyone who removes or alters emissions equipment. One has to emphasize that there is literally no point in doing what they do. It isn’t an assertion of rights in the face of oppression; people on bikes are not taking away any rights. Instead it is a negative, aggressive move. It is imposing harm on people simply because they have different values. Now, if you are on that side, you can extrapolate. These bicyclists, these Prius drivers, are all elitists who hate the traditional way of life and are voting for and enabling the politicians who want to destroy it. They represent– they are– in fact, the enemy of everything we hold dear. It’s not a large leap to say that they are essentially responsible for jobs disappearing (and globalism elites are responsible for that, if not exactly the tourists on bikes). This is where it comes from: a reaction to legitimately heartbreaking and life-denying economic catastrophe that gets irradiated and swollen to an outsized hatred for anyone who might not share the same ideas. It becomes an angry reaction to the rest of the world, who you assume (in many ways rightfully) holds you and your dumbfuck redneck ways in contempt. (see?) The bad behavior intensifies, and leads to more idiocy, like coal rolling, as an assertion of identity, which leads to more NYTimes and liberal blogger condescension, etc. Ironically, this feeling has been aided and abetted by the elites of the Republican Party, ensconced in luxury gigs in redundant think tanks and legacy magazines, who decry Labor Day as antithetical to American values. They’ve based a whole party, from the “intellectual leaders” on down, on whatever liberals hate is good, and whatever they like is bad. This includes, incredibly, American labor and the environment, which creates the bizarre spectacle of underemployed and non-represented low-wage workers struggling in a union-less economy getting their only kicks out of sticking to those clean air pencilnecks. The contradiction of the American right is pretty easily encapsulated in that. And it has all been exploited, with finger-flicked ease, by Trump. That’s why it is always a mistake to say he isn’t a Republican. Driven by hate, anger, paranoia, anti-intellectualism, and contradiction, he is the quintessence of the Republican Party. 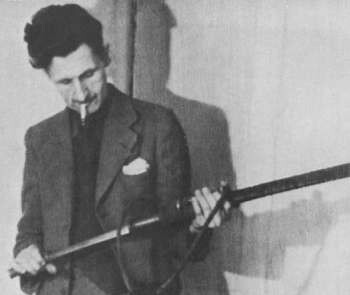 “One has to emphasize that there is literally no point in doing what they do. It isn’t an assertion of rights in the face of oppression; people on bikes are not taking away any rights. Instead it is a negative, aggressive move. It is imposing harm on people simply because they have different values.” To be fair, they could also have too many DUIs.